Ugly Fishing LLC is a fishing guide service serving the entire Mobile Bay and Coastal Alabama. Providing fishing charters to guests and residents of Fort Morgan, Gulf Shores, Dauphin Island, Orange Beach, Fairhope, Point Clear, Daphne, Spanish Fort, Mobile, Theodore, Bayou La Batre and Grand Bay. Ugly Fishing LLC owner and primary Captain Patric Garmeson has been fishing the Mobile Bay area for over 30 years and has been a fishing guide since 2010. Captain Patric has been featured numerous times on the well established “Fox Sports Outdoors with Barry Stokes” and is regularly seen on local “Fox 10 news outdoors” segment with Jason Smith. Ugly Fishing LLC provides fishing opportunities to anglers of all abilities and skill levels 12 months a year. Contact Captain Patric for rates for group trips, multi boat, or corporate rates. Ugly Fishing LLC is a fishing guide service serving the entire Mobile Bay and Coastal Alabama. Providing fishing charters to guests and residents of Fort Morgan, Gulf Shores, Dauphin Island, Orange Beach, Farihope, Point Clear, Daphne, Spanish Fort, Mobile, Theodore, Bayou La Batre and Grand Bay. Ugly Fishing LLC owner and primary Captain Patric Garmeson has been fishing the Mobile Bay area for over 30 years and has been a fishing guide since 2010. Captain Patric has been featured numerous times on the well established “Fox Sports Outdoors with Barry Stokes” and is regularly seen on local “Fox 10 news outdoors” segment with Jason Smith. Ugly Fishing LLC provides fishing opportunities to anglers of all abilities and skill levels 12 months a year. Contact Captain Patric for rates for group trips, multi boat, or corporate rates. Follow us on one or all of our social media platforms to stay up to date with what we are doing. Watch a preview Captain Patric Garmeson on Fox Sports Outdoors with Barry Stokes talk about fishing in Mobile Bay. You can watch the full version here! 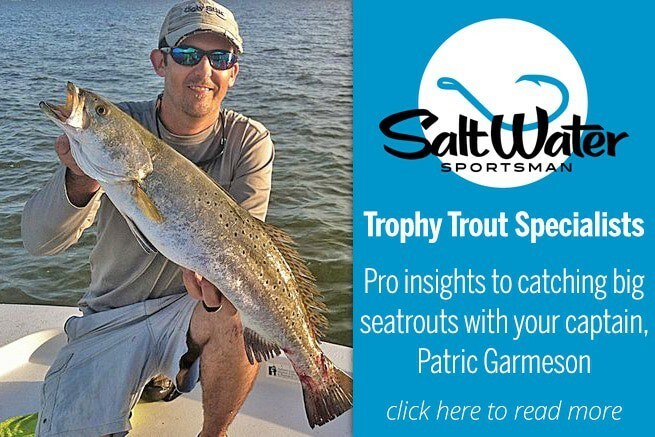 In this interview Joe Simonds one of the founders of SaltStrong fishing community and Captain Patric Garmeson discuss how Mariculture centers are helping the saltwater fishing along the gulf coast.